B2B Fulfillment vs. B2C Fulfillment:What's the Difference? Home » Blog » B2B Fulfillment vs. B2C Fulfillment: What’s the Difference? B2B fulfillment services focus on shipping from business to business. They manage large, bulk orders to supply products or materials to a recipient business. This system is used to help businesses stock up on items in advance, so they can operate for weeks or months on end, so they can resell the items to consumers. The fulfillment centers that manage this process usually focus on speedy shipping. While fast B2B shipping services are important, they may place efficiency over optimal customer service. Complicated routing procedures must be followed by warehouses and these rules and regulations can involve serious penalties and losses, like charge backs, if they are not followed. Many large stores require B2B fulfillment centers to comply with electronic data interchanges (EDI), as well as barcodes, parcel labels, and invoices. Shipments can also be slowed down by trade barriers such as tariffs and shipping levies, taxes, and different government regulations. In some countries, language barriers and corrupt governments can pose additional challenges with these large shipments. This makes B2B fulfillment a complicated system that requires experience, access to efficient technologies and quality management systems. B2C fulfillment services deal with the customer, rather than another business. This makes this process simpler than large-scale bulk orders that are the foundation of B2B fulfillment. There are fewer rules and regulations for individual customers, and there is more emphasis on customer satisfaction and quality service. Although there is still a focus on speed, it cannot compromise the customer experience and delivery process. The goal of B2C fulfillment centers is to ensure the customer is happy with the product and the shipping options or delivery service. Businesses may offer options such as free shipping or expedited same-day shipping and B2C delivery tracking to get the products to the consumers faster and keep the customer informed. B2C companies need to make a good impression on customers to keep them coming back for more products in the future. Businesses prioritize relationship-building with their customers far more than B2C need to. There are three stages in fulfillment: pre-purchase, purchase, and post-purchase. In each of these stages there are differences in the way B2B and B2C order fulfillment function. Here are some of the main differences between these processes. Price of Products: Pricing in B2B is the more complicated of the two because the same product can be available at different prices for different customers depending on their type, order quantity, purchase commitments, payment terms, etc. Prices are more standardized to customers in B2C. Sales Assistance: There is very little, if at all, sales assistance in the B2C process, whereas B2B are more complex and require assistance at multiple levels. Sales representatives are given specific accounts to manage, help, and build relationships. Emotions: In B2B, transactions are usually logical and carefully thought out, and the role of emotion is almost nonexistent. With B2C, purchases are highly emotional. Consumers shop based on their emotions and perceptions of a product and respond only to those items that make a connection with them. Buying Processes and Sales Cycle: There is a longer sales process in B2B, and it is more complex and process-oriented. It involves quote requests, negotiation, approval, and orders. As for B2C, the process simply involves a purchase made on behalf of a user. Order Size: B2B order sizes are much larger in most cases, as these products are usually needed in bulk for longer-term resale. Payments: In B2C, payment happens almost instantly once a consumer checks out an item in their shopping cart or visits the brick-and-mortar store. B2B payments happen over a period of time and depend on the payment terms agreed upon by the two parties. They use more traditional payment methods like offline payments, credit limit, and purchase order. Order Fulfillment and Shipment: Since the order size is larger in B2B, order fulfillment and shipping are very different. The process usually takes longer, costs much more, and uses different shipping methods. The trends in the world of B2C involve same-day shipping and free shipping to provide better service to the customer. Relationship with Customer: The nature of B2B transactions mean that relationships are developed over time and are ongoing. To build these trusting, long-term relationships, a personal connection and good post-purchase customer care are vital. As for B2C, there is more done to draw the customer in and give them a good experience, but the heavy emphasis on a long-term relationship is not there. While repeat customers are desired, little is done to nurture the relationship and take it to the next level to ensure loyalty. Competitive pricing, quality products, on-time delivery, and communication are a good enough drive to encourage B2C customers to return. Returns: Although this process is not desirable, all businesses need to have a system in place for returns. In B2C, returns are a clear part of business and are highly entertained in the retail market to help improve customer service. As for B2B, returns are far more complicated because of the large order size, and strict, rigorous processes. 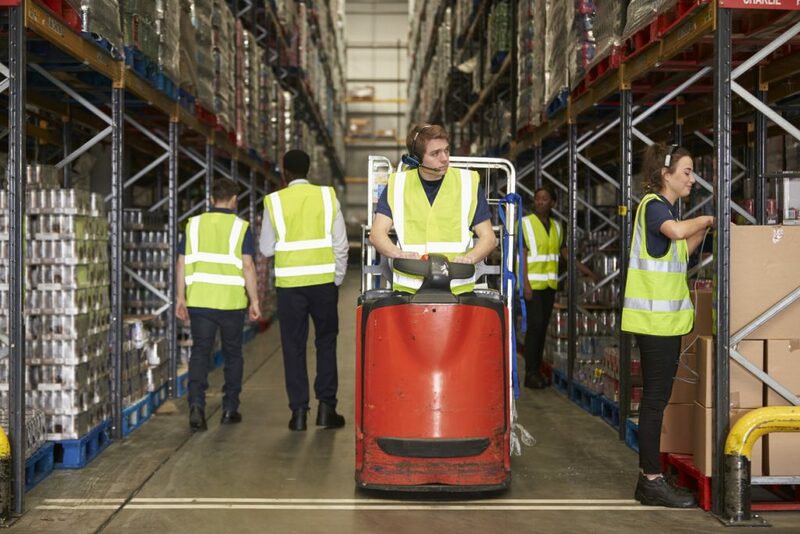 Finding the right third-party logistics and fulfillment partner to work with whether you run a B2B or B2C business is crucial to your success. As mentioned earlier, B2B is highly complex and B2C is unique and demands quality customer service. If having a successful business at the front and back end is your priority, we can help. APS Fulfillment, Inc. is ready to provide e-commerce fulfillment, product fulfillment, and direct mail marketing services so you can get the most out of your operations. You can contact us by e-mail at [email protected] or by phone at (954) 582-7450.